The New York City marathon is a whopping 26.2-mile adventure which attracts more than 50,000 runners, 10,000 volunteers, and over 2.5 million spectators annually. 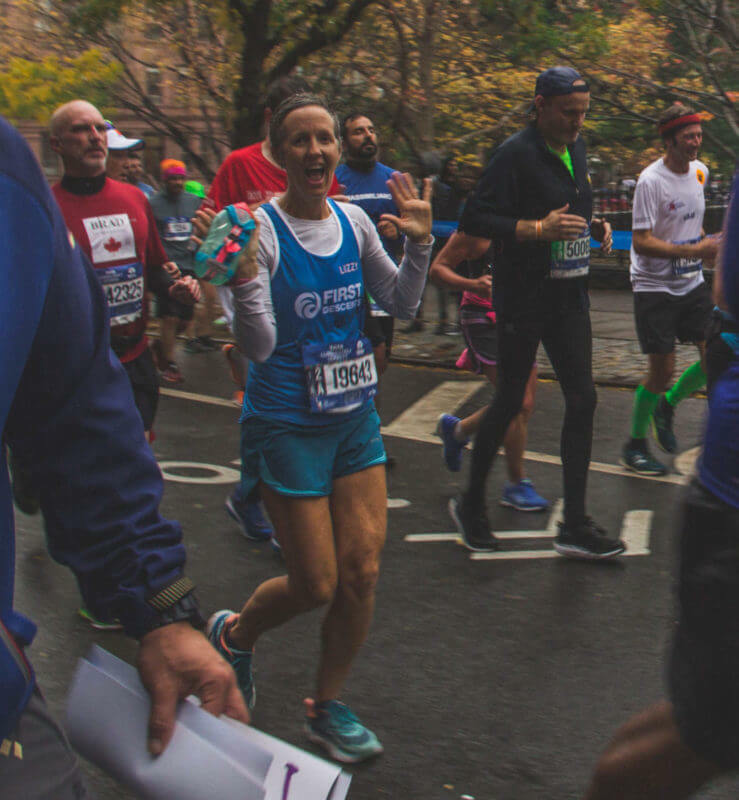 This legendary race begins on Staten Island and ends in Central Park, winding through all five of the city’s unique boroughs: Staten Island, Brooklyn, Queens, the Bronx and Manhattan. 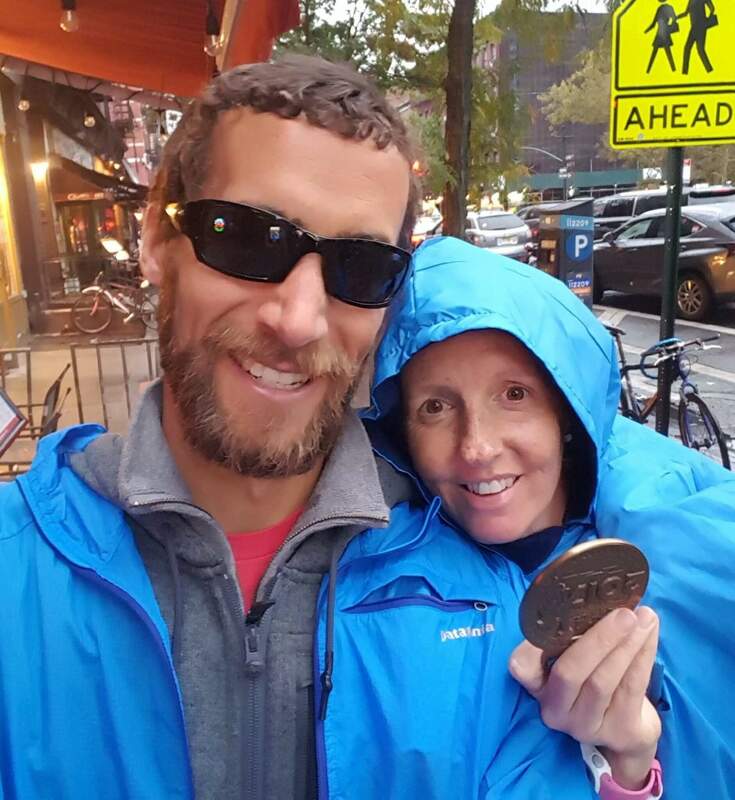 Team First Descents has participated in the NYC Marathon for the past six years. In our history, First Descents marathoners have raised over $200,000 to fuel FD’s mission. This year, our thirteen runners were truly Out Living It like never before! In a banner fundraising year, our incredible team raised over $50,000 to support young adults impacted by cancer – that’s more than $1 for each of the staggering 50,000 participants in this year’s race. 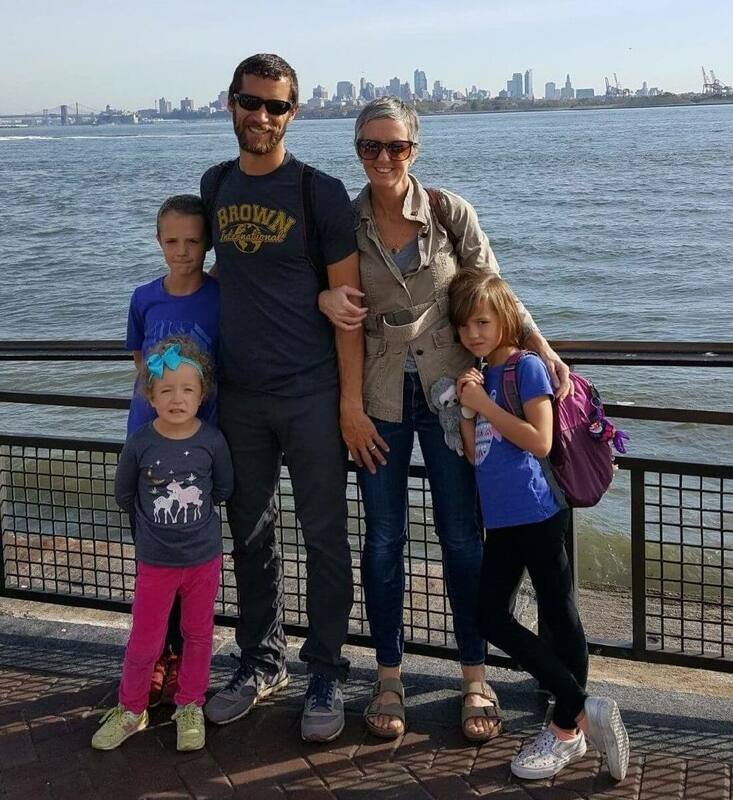 After energetically running her way through all five boroughs, we sat down with Team FD runner Elizabeth “Lloyd” Rodriguez to find out what motivated her to take on this beast of a race. It was a misty morning, but Elizabeth’s passion was clear as day. Her heartfelt commitment to racing for her family, her city, and the First Descents community serve as a testament to the Out Living It spirit our 2017 marathoners runners each embodied. A huge thanks to Elizabeth, our 2017 team, and all of the incredible donors and cheerers that contributed to an amazing weekend! First Descents: What drew you to get involved with First Descents back in 2016? Elizabeth Rodriguez: Despite my fear of the ocean and ability to swim, I chose to go surfing in Santa Cruz. It was actually my friend Leigh that had signed up to go surfing with First Descents shortly after her cancer diagnosis in 2015. I had so many excuses as to why I couldn’t go with her. When she passed away in February 2016, I decided I had to go on a trip because Leigh didn’t get to go. I chose the same trip that she was registered to attend. I wanted to tell her story. FD: That’s such a meaningful backstory. How did you feel coming away from your first program? ER: I spent a week away from real life, coloring, surfing, laughing and crying. I found healing in those waters and made connections with other cancer survivors that can only come from walking thru the fire. I learned to surf. I overcame my fears. And I found Leigh everywhere. Most of all, I came away knowing that I wanted to give back to First Descents. I wanted to give other cancer survivors and fighters the same experience that I had. FD: How did you decide that the NYC Marathon was how you wanted to start giving back to FD? ER: I decided to run after I saw a posting on the FD Facebook page that they were looking for people to run the NYC marathon and raise money for First Descents. It sounded amazing. It sounded to me like something that other people do. And I wanted to do it. I ran for all of my FD minimavs. I didn’t want to go to “cancer camp”. I arrived in Santa Cruz to go surfing with a wall built around myself and when Saturday rolled around, I was afraid to go home. We woke up each morning, packed our “wraps” for the day, pulled on those cold, sandy wetsuits, and went surfing. Our instructors showed us that we were the strongest people on the beach that week. We surfed. We laughed. We laughed so hard we cried. And we cried. When I run, I think of every single one of you. I will never stop telling your stories. FD: We agree – the tight knit community of First Descents is so powerful. Describe the moment that you ran by the FD marathon cheer party this weekend. What did it feel like seeing hundreds of your fellow FDers rooting you on? ER: The crowds in NYC are amazing. Don’t get me wrong. They really carry you through the race. But when I saw all of my friends at mile 22, I was completely overwhelmed. I was reminded immediately about why I run. I run for them. I run for my village that cared for my family when I was too weak. I run for those who would love to run but can’t. I run because I know a day will come when I can’t run, and I know my village will run for me. FD: Thank you for bringing that level of connection and inspiration to this race, and to our community. Are there any final highlights or funny stories from the race we should know about? ER: The morning of the race, we were getting ready to get on the subway around 4:30 am. I bent over to tie my shoes and had a lower back spasm. I froze. I couldn’t believe it was actually happening. I couldn’t move, let alone make it all the way to Staten Island and then run 26.2 miles. My husband Andy turned to me and said, “you have to run. You told all of these people that you were going to run and they gave you money and you have to run.” So we taped handwarmers to my back and headed out. And I did it. I guess that is what it is all about, right?